We are proud to be a Certified B Corporation, originally certifying as a founding UK B Corp in 2015. B Corps believe in business as a force for good, and are actively helping to solve social and environmental problems through their day-to-day activities. B Corp is a certification scheme – similar to Fairtrade coffee or organic milk – but it looks at the whole company and everything it does, rather than just one product or service. The certification process is run by the independent non-profit, B Lab. The first stage of certification is a detailed assessment which examines how the company operates from the perspective of 5 different stakeholder groups: customers, employees, suppliers, local communities, and the natural environment itself. Companies are scored in each area, and have to achieve an overall score of 80/200 points to qualify for certification. For transparency, the results of this certification process are made fully available online. 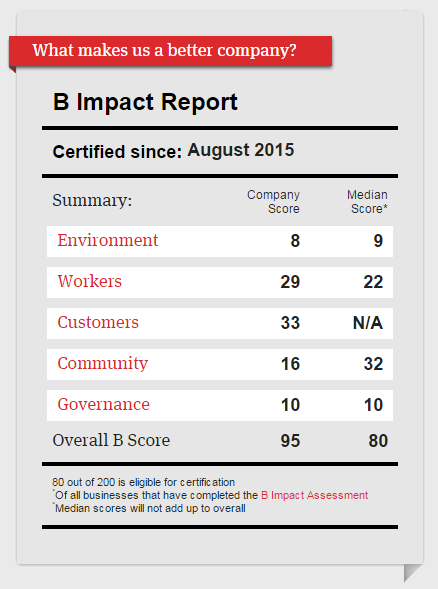 You can take a look at the summary of EQ’s impact report here, or visit our public profile on the B Corp website for further details. Becoming a B Corp also involves a legal change to the company’s governing documents. The purpose of this is to protect the mission of B Corps: promoting the success of the business for the benefit of its shareholders while also having a material positive impact on society and the environment. You can read more about the significance of the legal test here. Today, there are over 2,100 Certified B Corps around the globe, including Ben & Jerry’s, Patagonia, and Triodos Bank. We are proud to join them in redefining success in business, so that one day everyone uses business as a force for good. 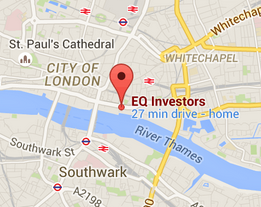 EQ has been named as a ‘best for customers’ honoree in the annual B Corp top 10% list. We make every effort to align our interests with those of our clients and for this to be recognised is a great tribute. Click here to see the full 2017 list.